Item#: P8343 Closeout! Price Drop! 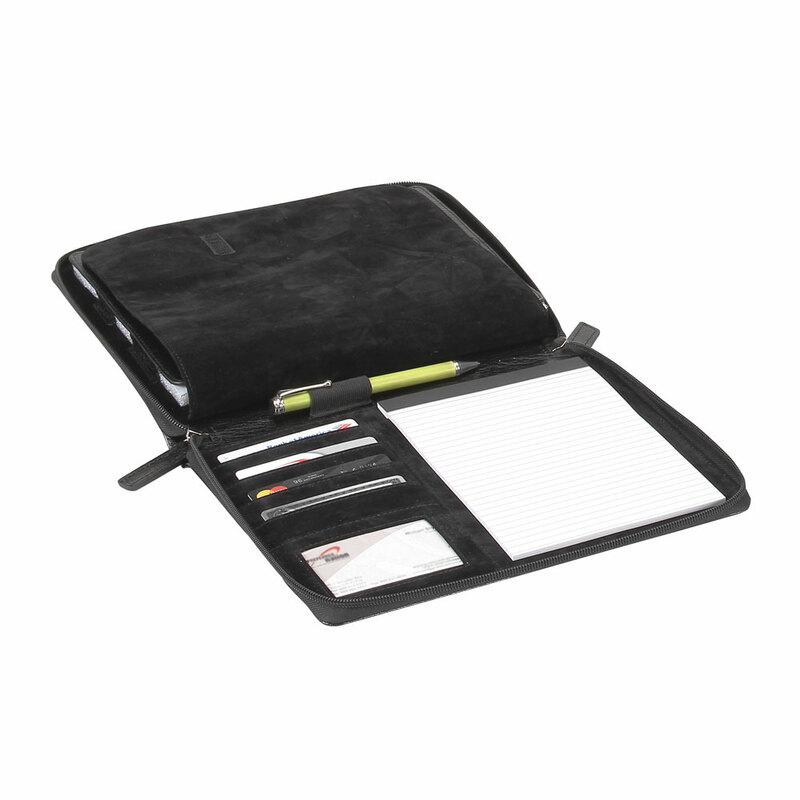 This zip around iPad case makes tedious note taking seem like a convenient leisure. With a built in memo pad and rigid stand, this case allows the iPad to rest at a nice angle from which you can watch and jot down a few notes. The case features a soft velvet divider in the middle to protect the screen. Additionally, there are several compartments for cards, IDs, and pens. 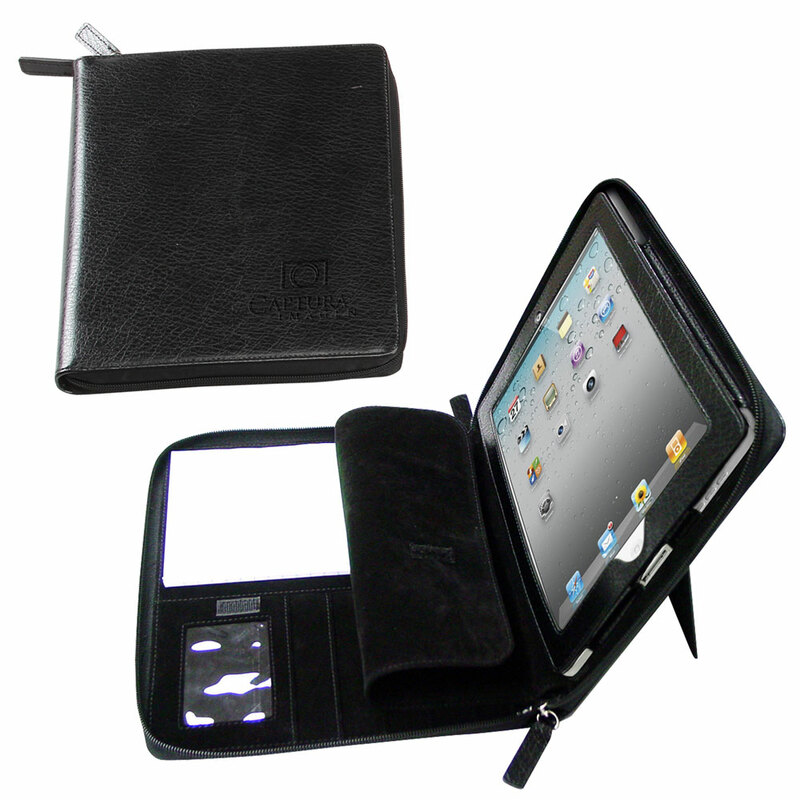 This zip around case provides protection with a coating of stylish, classy bonded leather. This case fits iPad2 & The new iPad. Who said meetings have to be inconvenient and boring? Pack Info. : 20 pcs / 24.00 lbs. Pack Note: (Dimension Weight) / 22 lbs. (Actual Weight) / 19" x 17" x 12"